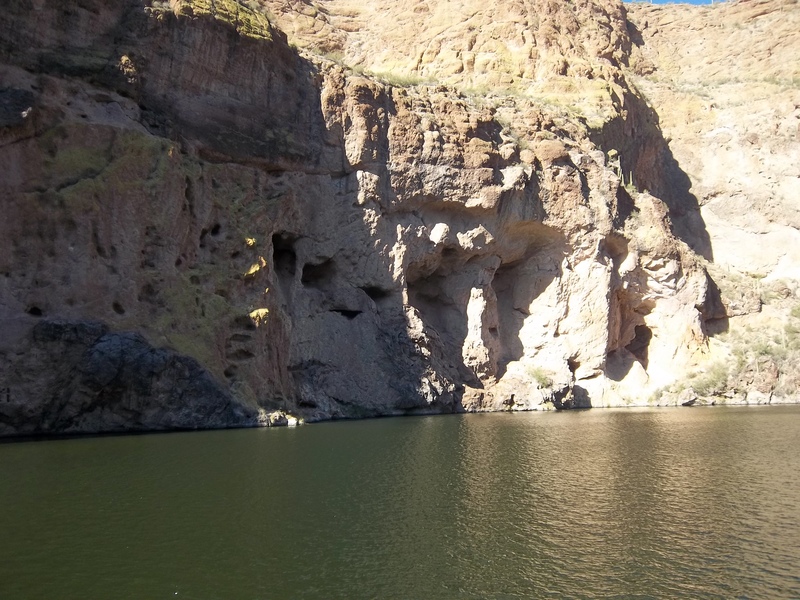 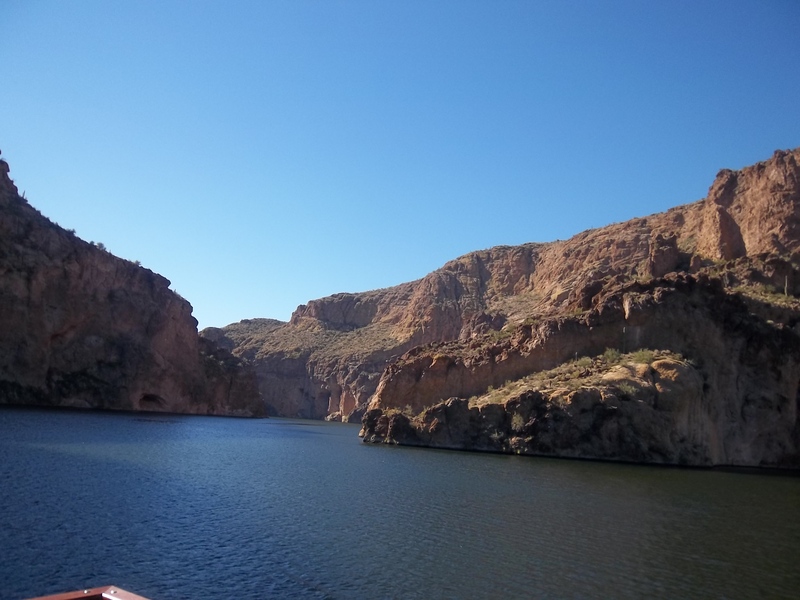 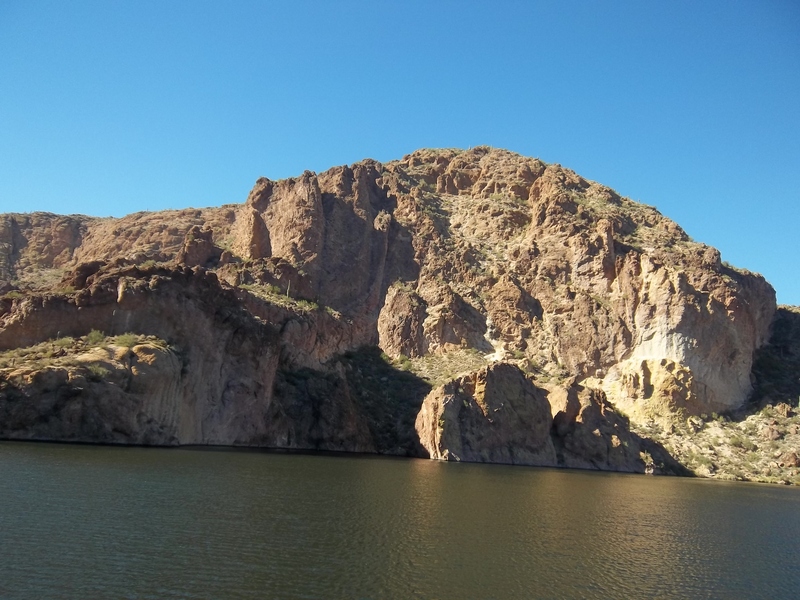 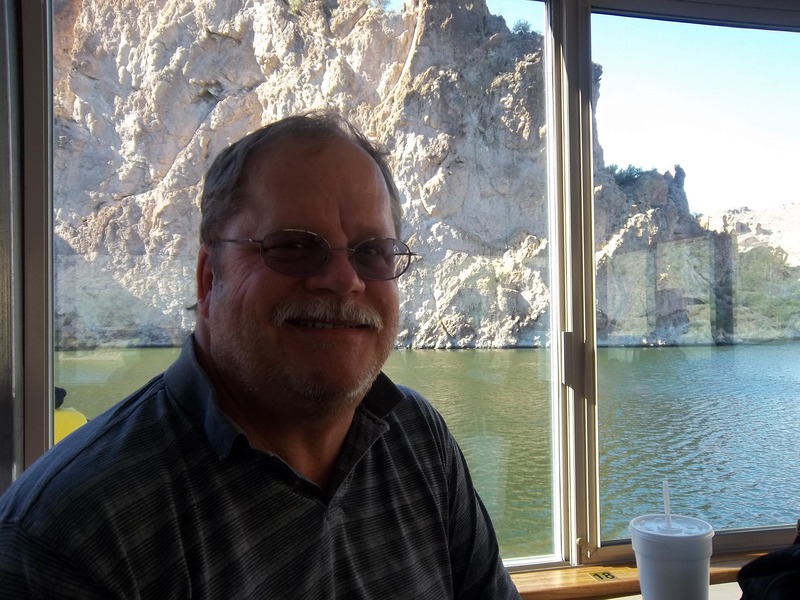 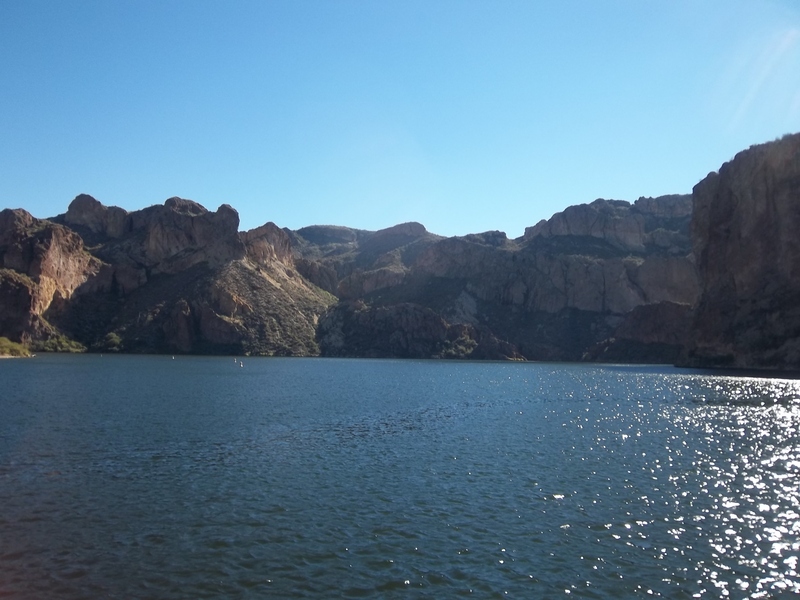 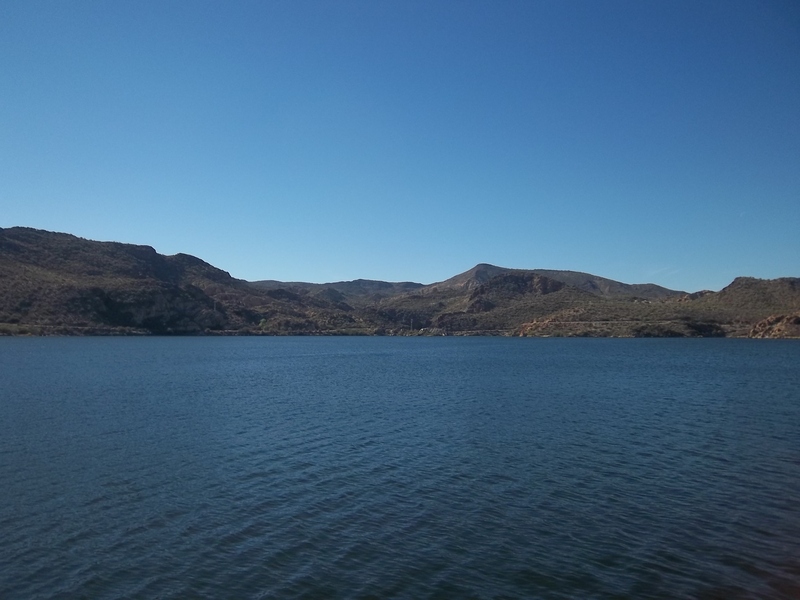 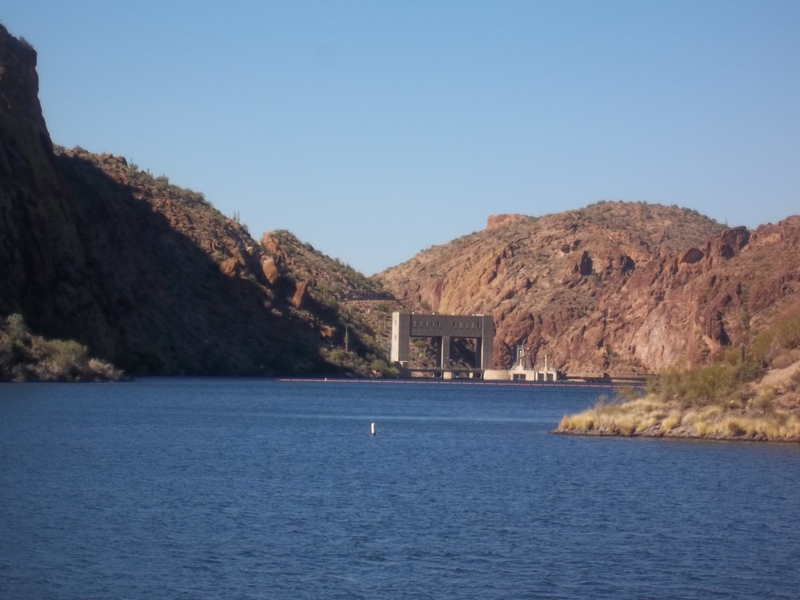 anniversary cruise at Canyon Lake… – RV Cheaper! 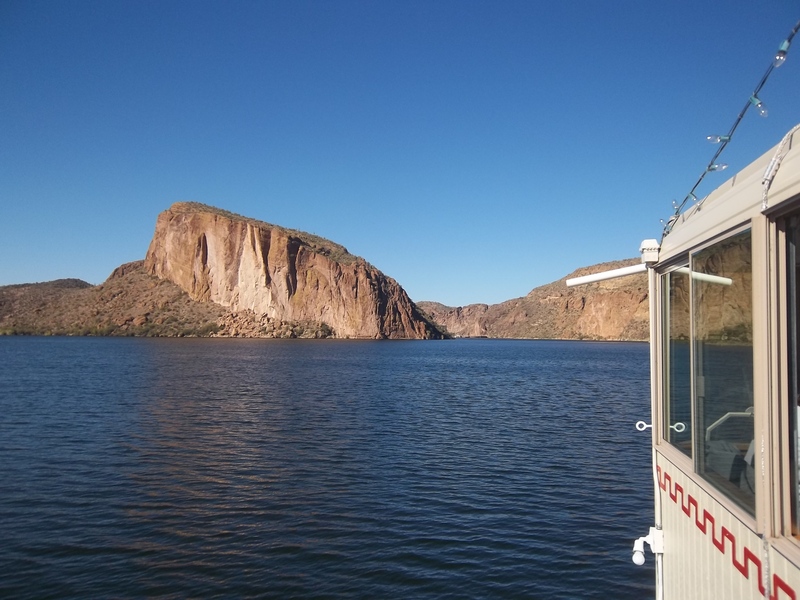 November 26, 2013 December 29, 2014 RV Cheaper! 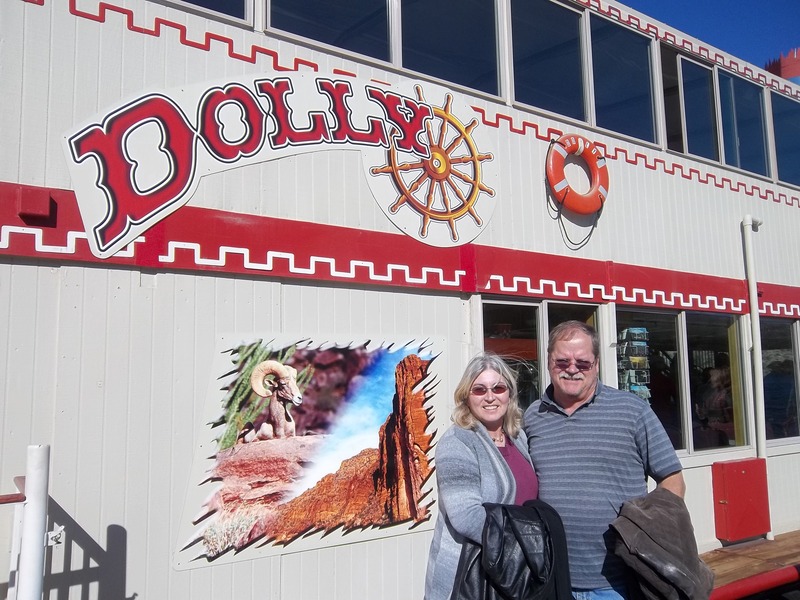 This year Alice & I celebrated our 37th anniversary and decided to take a ride on the Canyon Lake Dolly Steamboat. 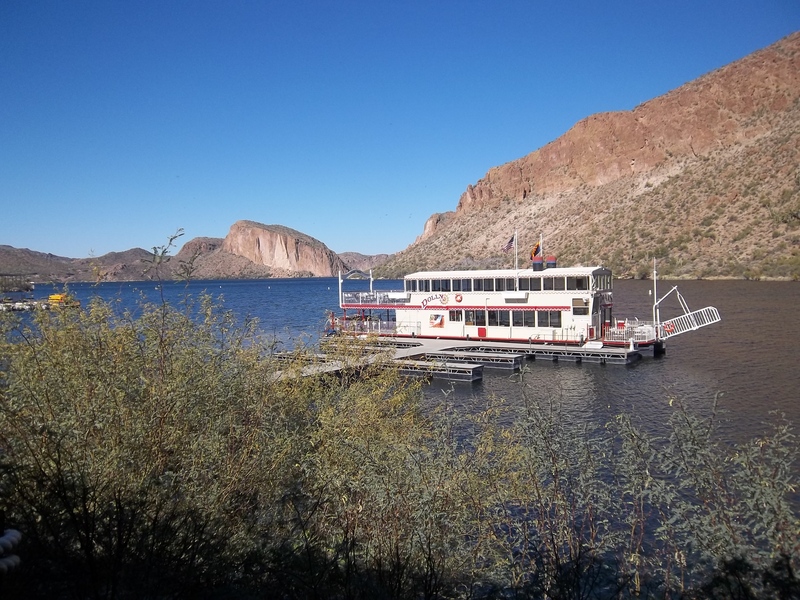 They have dinner cruises, stargazer tours and a daytime nature cruise. 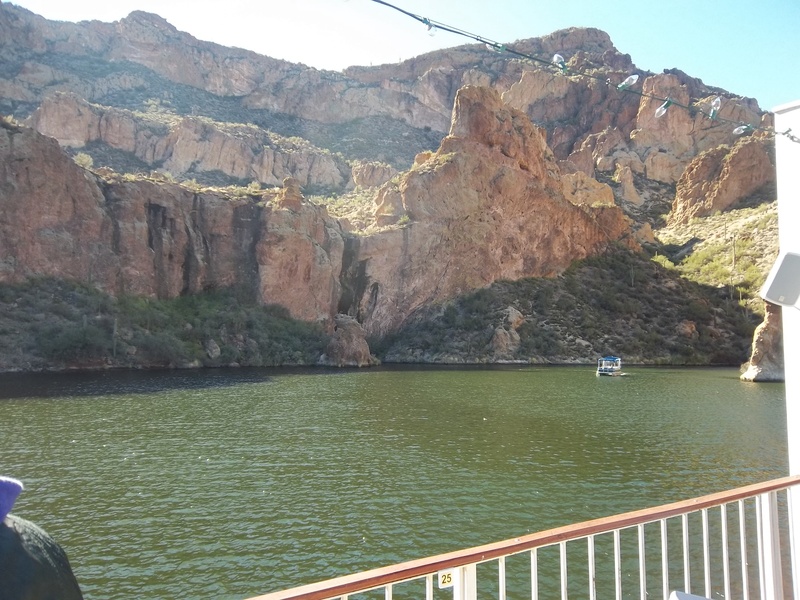 We opted for the daytime nature cruise as we had some frosty mornings lately and it was a little too cool for these desert rats to the night time cruises (see www.dollysteamboat.com). 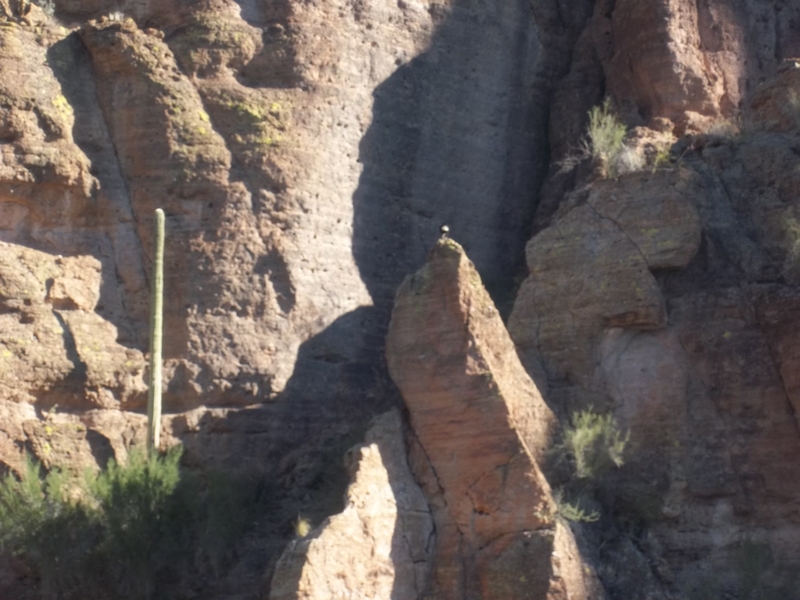 We were able to see some bald eagles nesting and hunting along the canyon walls in addition to the awesome scenery. 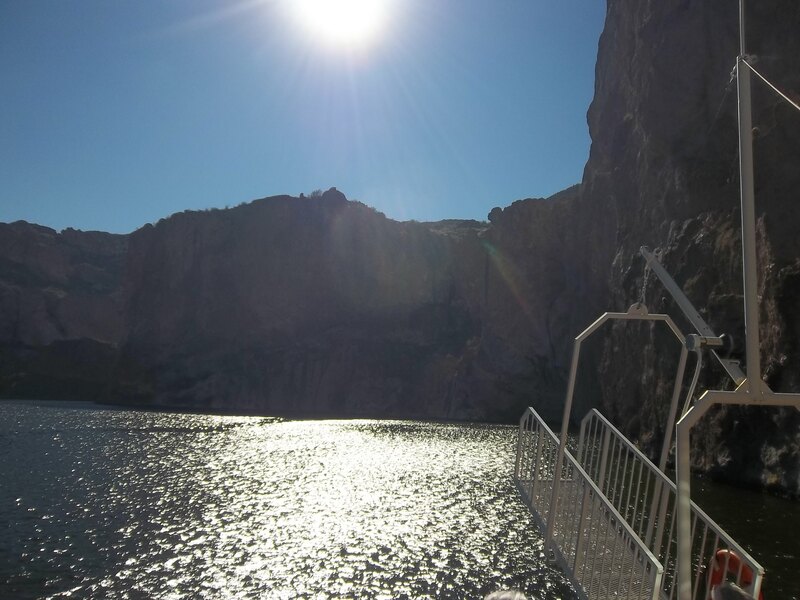 We didn’t get to see the mountain goats often seen during the cruise. 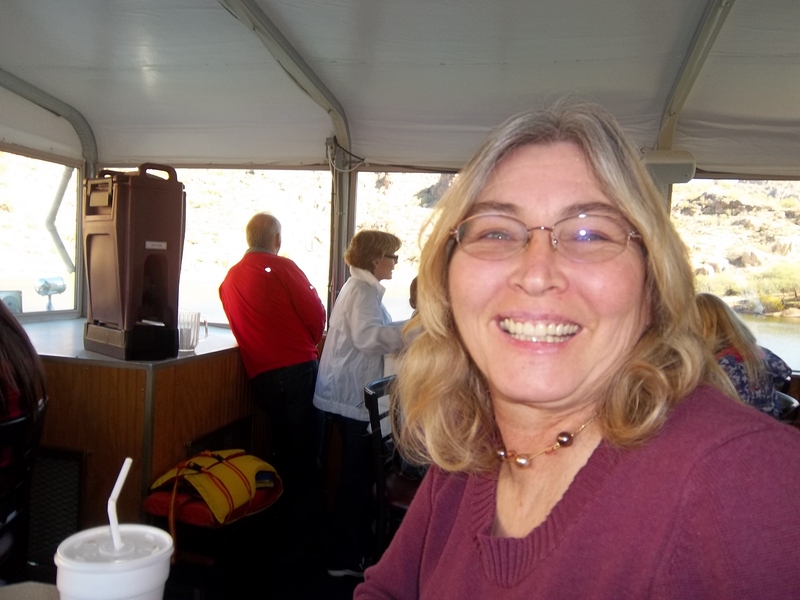 Afterward we went to Tortilla Flats and had a great lunch at the saloon. 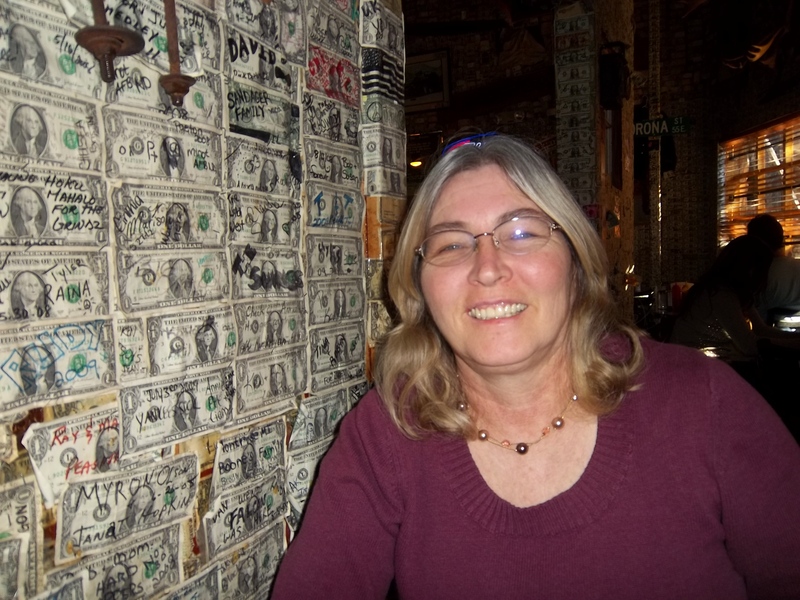 There has to be millions of dollar bills stapled on the walls and even some foreign currency. 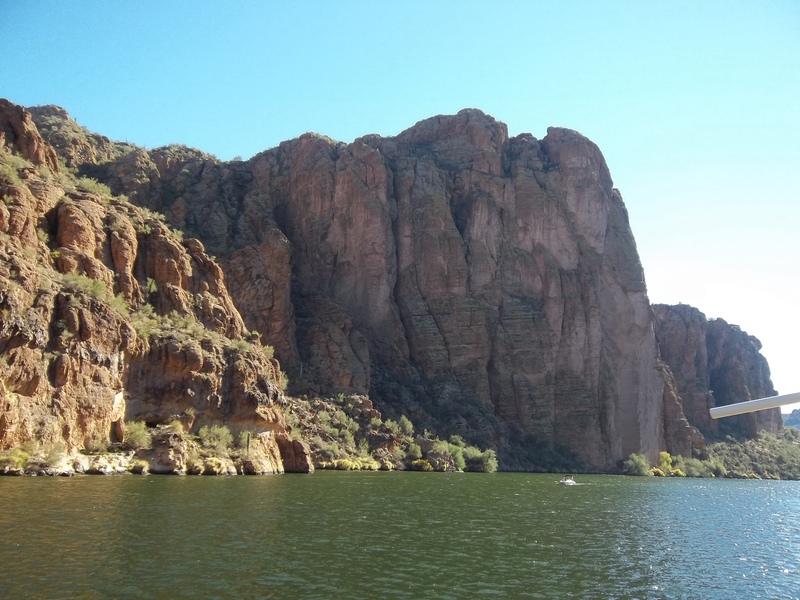 pictures don’t show how tall these granite cliffs go! 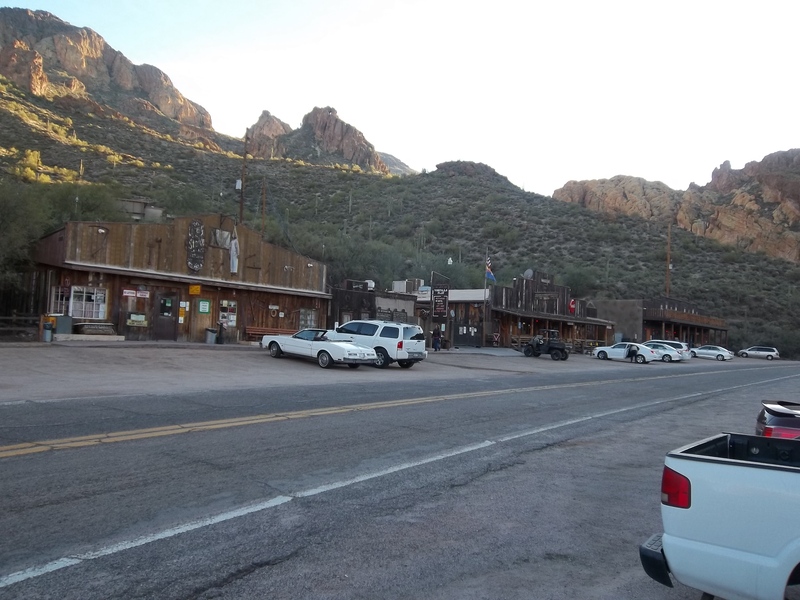 lunch at the Superstition Saloon, there must be a couple million dollars on the walls! 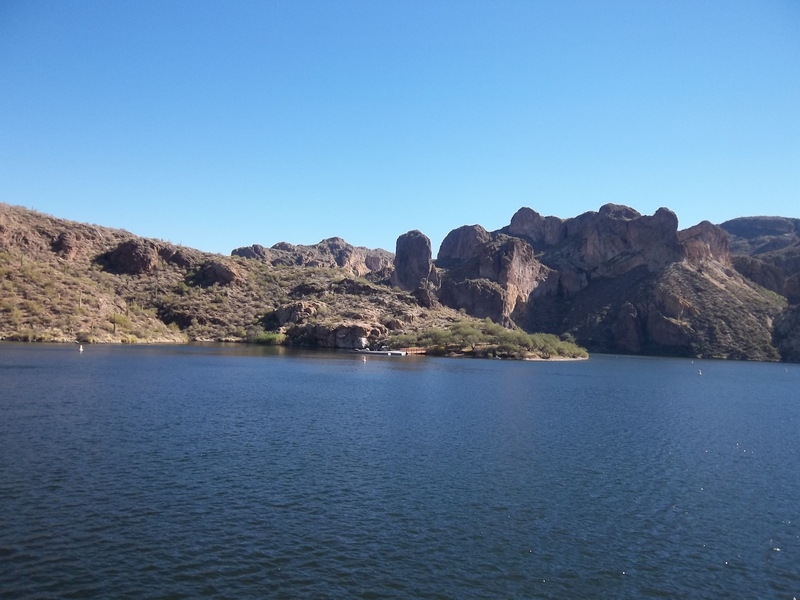 Previous too little time, so many things to see!